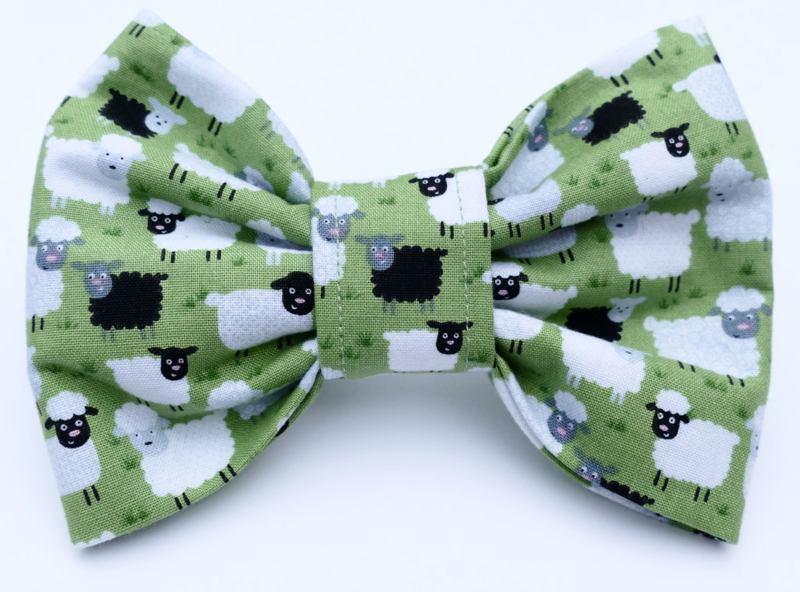 A really cute Happy Sheep bow tie in lovely quality 100% cotton. There are black and white sheep with cute little smiley faces, and the background is a lovely shade of green. This is a perfect holiday bow tie, especially for sheepdogs of course! It's perfect for any occasion, for any fun loving dog about town or country! !